When you allow me to be your traffic attorney, you can rest assured that I will provide you with tenacious, results-driven assistance and guidance in Statesville, NC. Receiving a traffic ticket can threaten your finances, your insurance rates, and in some cases, your legal ability to drive. If you intend to fight the consequences associated with a traffic ticket in a court of law, it’s critical that you have an experienced traffic attorney on your side. As a traffic attorney who serves the Statesville, North Carolina area, I am able to work on cases involving many different types of violations. For example, if you received a ticket for speeding, parking in the wrong place, or driving without your license, I can assist you. I can also help with more serious types of traffic violations, such as DUIs and DWIs. In any legal situation, traffic cases included, it is essential that you provide me with as much information as possible. When you meet with me to discuss the specifics of your case, I will likely need to see a copy of your traffic ticket, as well as a statement from you describing what occurred. I will then put my extensive knowledge of North Carolina traffic law to work for you as I prepare to defend your case. When you allow me to be your traffic attorney, you can rest assured that I will provide you with tenacious, results-driven assistance and guidance. 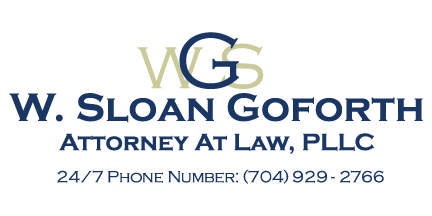 To set up a free consultation with my office or to find out more about how I can help you, please contact me, W. Sloan Goforth, Attorney at Law, today. At the office of W. Sloan Goforth, Attorney at Law, our traffic attorney proudly serves residents of Statesville, Troutman, Taylorsville, Mocksville, Mooresville, Hickory, Iredell County, Alexander County, and Davie County, North Carolina.